iflix has launched Studio2:15, its new creative production business for short-form video content, led by Craig Galvin (pictured). The new studio aims to create engaging and experimental snackable and short-form content for the iflix platform. As a creative ecosystem, the studio will commission and produce collaborative projects between international, regional and local creative teams and talents. In his new role as global director, short form, Galvin reports to iflix chief content officer Sean Carey. In a statement to A+M, iflix’s spokesperson said Studio2:15 appeals to the “now generation” that is “mobile savvy, time-poor and in-the-know”. “They share an attitude, not an age or demographic; collectively, they are a growing force with significant influence on taste and trends. Grab their attention in the first two seconds, keep them for 15 seconds and compel them to keep watching forever,” the spokesperson added. The spokesperson also said that Studio2:15 will be announcing its partnership with companies and talents in the coming weeks. Galvin most recently served as executive producer on Louder Together, a global campaign for non-profit organisation Global Citizen. 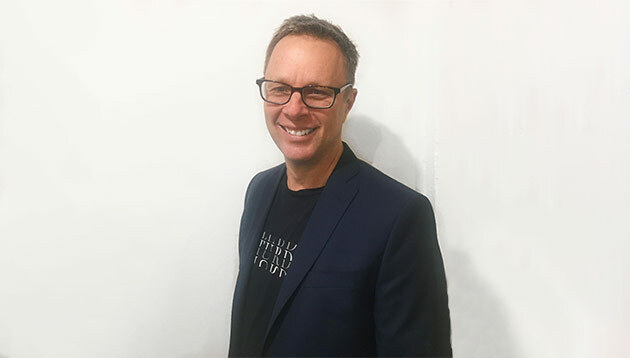 He also founded Australian digital agency whiteGREY and has worked on campaigns with several Fortune 500 companies, including Commonwealth Bank and Tourism Australia. He has over two decades of experience in content creation, business development and creative direction. Galvin said that short-form content will play a “significant role” in iflix’s mission to redefine entertainment and share global influences alongside local culture. “Studio2:15’s vision is to lead the charge in redefining short-form across all iflix markets, providing our audience a compelling experience that keeps them wanting to come back for more,” he said. Carey said that the creation of Studio2:15 marks a “monumental step” as iflix expands its content offering to capitalise on the rapidly growing demand for highly-engaging and viral short-form content. “Mobile users represent the lion’s share of internet traffic in our markets, and when it comes to mobile users, short ‘snackable’ content is king,” Carey added. Is your hashtag really increasing your engagement on Instagram? Which ad is your favourite?.. A report says brands fail to understand that customers arrive with a purpose and stumble at this hurdle. .. Combined revenues from digital advertising, home shopping, e-commerce and subscription-based OTT service rose up to RM123 million ..